A brand new FMV game in 2016! And it’s good! Developed By Splendy Games/Wales Interactive. Published by Green Man Gaming. Available on PC, PS4 and Xbox One. Review code provided by Green Man Gaming. Buy a cheap Steam key from Green Man Gaming and help support my content. The Bunker is a brand new full motion video adventure game, released in 2016. If you haven’t clicked away after reading that, hear me out. As someone who grew up with these gems of the burgeoning “multimedia era” and who still has a place in my heart for them, I’ll be the first to admit that in almost all cases, they were neither good films, nor good games. Many have tried to resurrect this fascinating sub-genre recently and most didn’t do any better than their 90s counterparts. 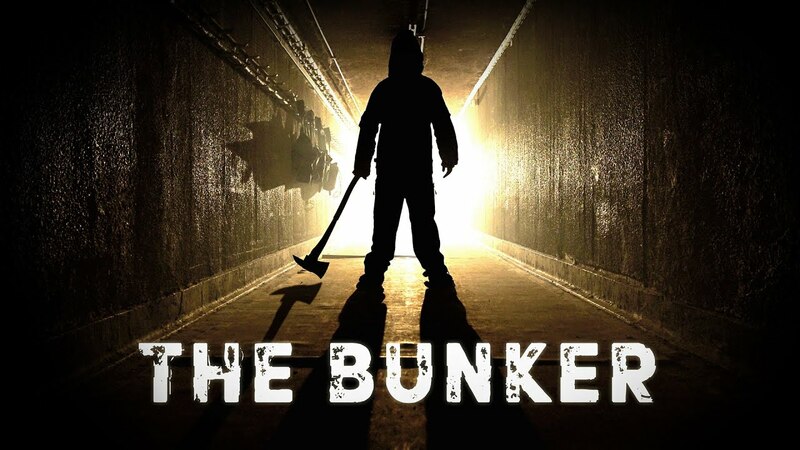 The Bunker maintains some of the genre’s past faults but makes up for it with a well shot, well acted and very well told post apocalyptic vignette that I think you’ll like if you’re into that kind of fiction. Your character is John, a man who was born in the UK nuclear bunker in which the entirety of the aptly titled adventure takes place. You entered the world the moment the atomic bombs fell in a fictitious 1986 conflict. The game takes place 30 years later, when the population of the bunker has gone from 59 to just you and your Mother, who is breathing her dying breaths as things start off. The reasons for this aren’t made clear until near the end, where some major and incredibly dark twists happen. Some people may see them coming but when I played this on stream, both myself and most of my chat were stunned. While John is the focus of the game, there are many flashbacks with various characters from the backstory that help flesh out what happened and why. Things start off feeling mundane and boring on purpose but really go places by the end. Much like titles such as Gone Home or Dear Esther, the story is what you’re really here for in The Bunker. There’s very little interactivity, just some clicking around scenes to examine objects or trigger an automated manipulation of them and the occasional simple quick time event that can determine how some scenes play out. There’s no real failure state, except for a couple of parts that just take you back to the beginning of a scene, which you unfortunately can never skip, even if you’ve seen them already. My opinions on so-called “walking simulators” are well known and I hold this genre to high standards because your story has to be incredible to make up for a lack of game play. The tale told in The Bunker is one that’s disturbing and dark but also surprising and it showcases the tortured life of a character who is trying to live in a world that would drive most people mad. It’s more of an interactive movie than a game but it tells something original and compelling, unlike the other two games mentioned. There are some bits that might make you jump but this definitely isn’t a horror game, more of a thriller. The acting is well done and conveys the weight of circumstances well. It’s an oppressive place with people working under extraordinary circumstances and it feels that way. Some of the cast are apparently known actors in the UK., though I wasn’t familiar with them. The writing isn’t long-winded and gets to the point and doesn’t use more words than necessary. FMV games are often tricky for actors because they have to film things like idle positions and transitions between scenes. These often appear stiff and unnatural. Your character in The Bunker has some major anxieties and is nervous in general and his constant fidgeting helps make these transitions much smoother. They also flow together well and rarely do you see the cuts between two obviously different clips of footage. Outside of the flashbacks, you’re completely alone in this place and they nailed the atmosphere. The game was filmed in an actual British nuclear bunker and it’s an austere, dark, oppressive environment that adds to the sense of loneliness and unease. The sets are full of period appropriate props, including old tape decks and British appropriate computers like Commodore and Amstrad, several of which you’ll end up interacting with. Everything is very well shot and framed and you can tell there were professional filmmakers involved. Unfortunately, they don’t do a great job of making the modern elements jive with the old ones. It’s very obvious when you’re using the computers that they’re just projecting modern text elements onto an image of an old school monitor. It’s not too jarring but a few added scanlines would have made a huge difference. This is accompanied by a great sound track–which you can purchase if you wish–that combines some good 80s synth with deep, foreboding tones that inspire dread. There’s elements of the excellent scores from the two recent Deus Ex games in here and they fit nicely. The Bunker is a short experience as games go at only two hours and unless you want to achievement hunt, there’s no incentive to play it a second time. Some might find its $20 price tag a bit steep and I can’t blame you if you do. Personally, if I spent $20 on this, I would have felt quite satisfied as it’s a good story told in a way that we don’t see too often in this day and age. However, if your gaming budget is limited and you need something you can put a lot of time into, this may be worth just watching me play it instead of playing yourself. Though largely an interactive movie, I still think there is a lot of value in being the one in control and for that reason, I still highly recommend The Bunker. It’s an FMV game done right and with a fiction I find morbidly fascinating and it’s stuck with me since I finished it. I’d play more FMV games like this and I hope this can finally be the dawn of a modern day reemergence of this genre. This entry was posted in Reviews, Video Games, YouTube and tagged Adventure Game, FMV game, Green Man Gaming, PC Game, PlayStation 4, PS4, Splendy Games, The Bunker, video game review, video games, Wales Interactive, Xbox One. Bookmark the permalink.